Early in 1988 I stumbled upon a great story: 67,000 acres of northern New Hampshire managed forest, formerly owned by Diamond International, was for sale. The asking price, $212 an acre, was roughly double the going rate for timberlands. Conservationists, timber industry leaders, and politicians were terrified that only a developer would pay such an inflated price. 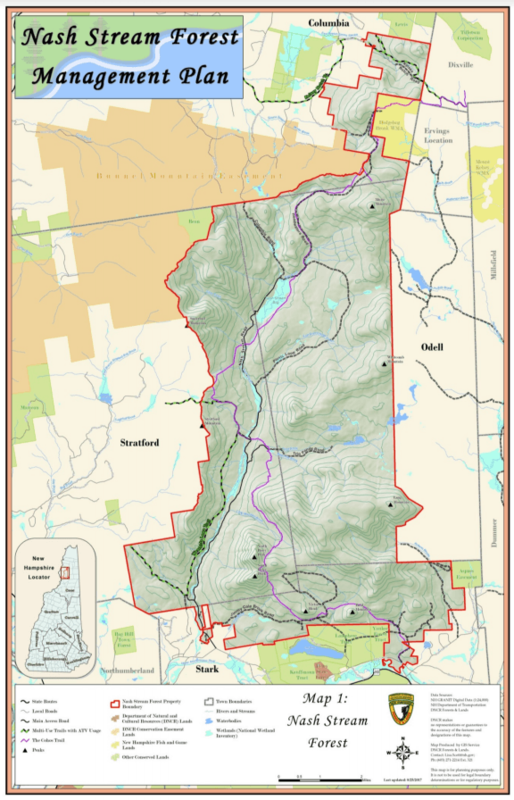 I thought the entire 40,000-acre Nash Stream Watershed should be designated a wilderness reserve. State leaders assured me no funds were available for state or federal acquisition. After breaking the story, I finagled a seat at the table of a March 10 meeting of the state’s political and conservation elites. Most of the attendees hoped a conservation group or private investor would buy the land. They were desperate to salvage the status quo: “working forest,” logging jobs, timber taxes, and no further development. The Percy Peaks looking east. 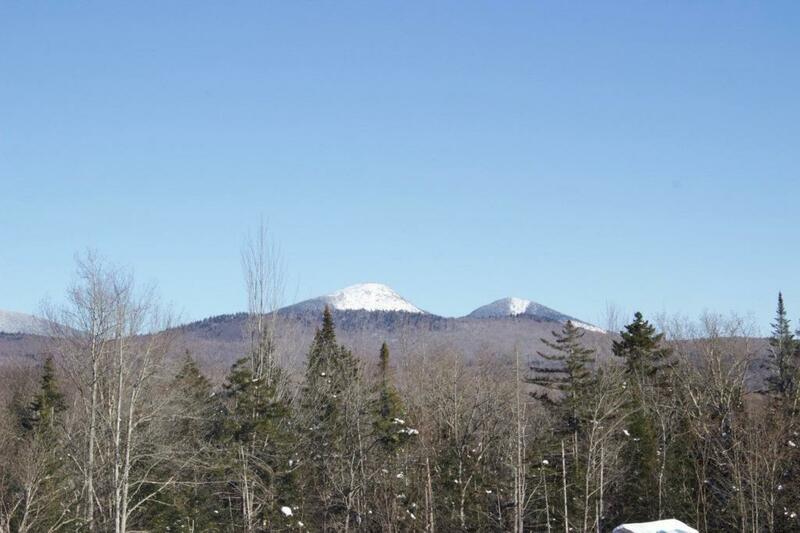 North Percy Peak is on Left and South Percy Peak is on right. Photo by Jamie Sayen. “Who speaks for the land?” I asked. Stunned silence; throat clearing; desperate looks darting from politician to conservationist, and then more talk about jobs and fiber. A few days later, my state senator warned me I would lose my credibility if I persisted with my foolish questions. No timber investor would pay more than $100 an acre on a forest where almost 90 percent of the trees were four inches in diameter or smaller. Only four trees per acre were greater than 16 inches in diameter; and red spruce, a major component of the pre-settlement forest, had been mostly removed. In May, a downstate real estate speculator bought the 67,000 acres and immediately offered to re-sell 64,000 acres to the public for $500 an acre. In August, the state, with a major assist from the federal government, bought the Nash Stream tract and a few thousand acres of inholdings in the White Mountain National Forest for $282 an acre. Dithering in March had cost the public an extra $3 million. 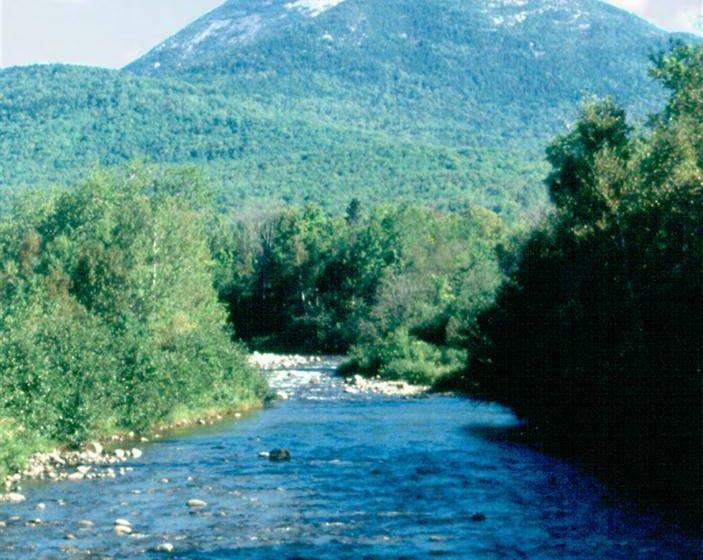 A Model Public Plan: New Hampshire Governor Judd Gregg appointed a Nash Stream Advisory Committee (NSAC) to develop a management plan. The late Jeff Elliott and I appeared at its second meeting in January 1990 with the intention of promoting wilderness designation for much of the Nash Stream Forest (NSF). Our uncompromising reputations freaked out several committee members. There were tense exchanges, and soon the state police surrounded the warehouse where we were meeting. 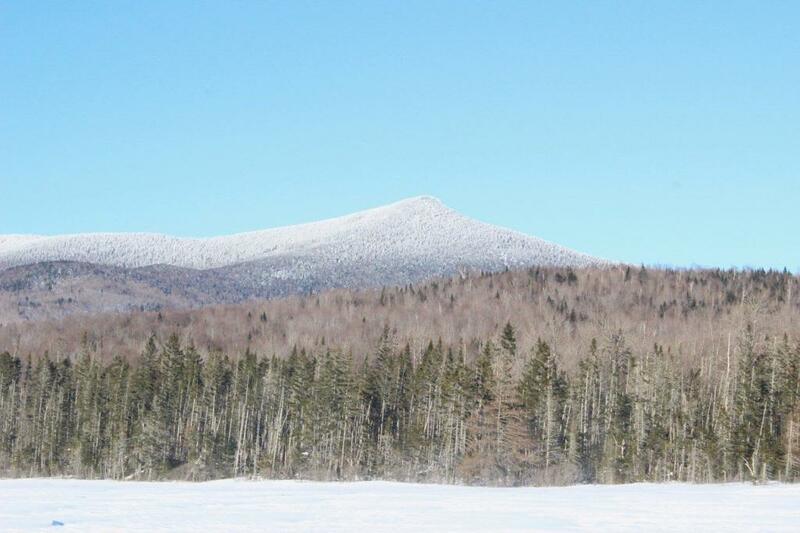 West Face of Sugarloaf Mountain, elev. 3701. Stratford Bog in foreground. Photo Credit: Jamie Sayen. After further hostilities in February, NSAC chairman Steve Blackmer took me aside and said: “If you respect my responsibility to conduct a thorough and fair process, I will make certain you have every opportunity to make your case.” I blurted: “That’s all I’ve ever asked.” Steve and I kept our promises, and the committee began to listen to—and occasionally adopt—ideas about core reserves, connectivity, and buffers. In 1990 these ideas were considered alien and extreme in New Hampshire. The final plan declared: “The management of the Nash Stream Forest will be a model of environmentally sound land stewardship.” It was written in the spirit that the role of public lands is to provide services that private land managers cannot or will not provide. Though far from perfect, it expressed a strong bias against clearcutting, and it established core reserves, albeit mostly high elevation sites or areas with steep slopes or shallow soils where logging was already prohibited. In the lower elevation timber management zones, it called for the establishment of Control Areas — 1500 acres for softwoods and 100-200 acres for hardwoods. It included clear directives for monitoring management activities. The Advisory Committee unanimously agreed to ban ATVs, while permitting continued use of snowmobiles. 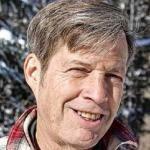 Later in 1990, the Commissioner of the state agency overseeing the Nash Stream Forest, in cahoots with biologists from New Hampshire Fish and Game Agency, attempted a coup that would allow clearcutting for “wildlife,” such as deer, hare, woodcock, and bears, even in the core areas. The NSAC stood down this crude power play. Inattention: When the plan was formally adopted in 1995, its authors were busy with other issues; and we failed to monitor the implementation of our work. Despite the pitiful “stocking” on Nash Stream Forest, logging commenced in 1997. In 2002 the all-terrain vehicle lobby pressured the state to permit ATV traffic in Nash Stream Forest. The Control Areas were never established, and little, if any, monitoring occurred over the next two decades. Late in 2016 I learned that a draft revision of the NSF Plan would soon be available for public comment. I asked how it addressed climate change. The deer-in-the-headlights looks and stammering that followed did not reassure me. Radical Revisions: The original Management Vision had stated: “Manage Nash Stream Forest as a model of ecologically-based forestry, emphasizing the growth of long-rotation, high quality, solid wood products….” The plan expressed a strong preference for uneven-aged management. It recommended that 80 percent of the cuts create openings of less than 0.04 acres and another 16 percent not exceed a fifth of an acre. West Face of Sugarloaf Mountain in the background, Stratford Bog in foreground. Stratford Bog and Sugarloaf: Love them or Leave them alone. Photo by Jamie Sayen. The 2017 Draft Revision replaced the statement “clearcutting will be used only when no other silvicultural method will accomplish the desired condition” with “even-aged management will be an accepted silvicultural method” and “clearcuts will be appropriately sized.” The Revision weakened directives on winter logging and minimum footprints of roads. The “Desired Future Condition” of the managed forest was 35-55 percent in seedling, saplings, and pole timber, leaving potentially as little as two percent in large sawtimber. As for once or future old-growth forest, the Draft Revision offered no hope. Climate-stressed tree species can migrate 150-500 meters a year in an un-fragmented forest; forest herb species can only move 2-3 meters a year. We have no idea about the migratory capabilities of poorly studied and unknown species. Keeton, Whitman et al. state: “Young to mature secondary hardwood forests in the northeastern United States today have aboveground biomass (live and dead) levels of ~107 Mg/ha on average. Thus, assuming a maximum potential aboveground biomass range for old growth of approximately 250-450 Mg/ha mega-grams per hectare, [a Mg/ha is million grams per hectare and is 893 pounds per acre] … our results suggest a potential to increase in situ forest carbon storage by a factor of 2.3-4.2, depending on site-specific variability. This would sequester an additional 72-172 Mg/ha of carbon.” Delaying logging another 50 years would assure bigger sawlogs and maximum sequestration during this critical period as we struggle to reduce our carbon footprint. Fully protecting the forest from logging would do still more for climate stability and ecological integrity. I alerted veterans of the 1990 planning process of the reckless revisions. They submitted comments that forced the NH Division of Forests and Lands (DFL) to include some material on climate change, and to restore the language of the 1990 forest management section that strongly discouraged clearcuts and even-aged management. The DFL has acknowledged the directive to establish controls, but cites past mismanagement that severely diminished softwood stands as an excuse to evade the 1500-acre softwood directive. In a second round of comments during the fall of 2017, we directed the NSF managers to locate the control where we know softwood stands were dominant during pre-settlement times. Continued failure to monitor the ecological impacts of logging and ATVs, due to inadequate budgeting, must not go unchallenged: No Monitoring—No Managing! Moral: The “problem” with public lands is that they are frequently mis-managed, and there is an acute paucity of unmanaged, public wild land. State and Federal agencies are under relentless pressure from special interests and ecologically uninformed politicians. It is unrealistic for us to expect them to speak for the land unless we remain eternally vigilant in fighting both problems.